SeaWorld is a place for your entire family to explore, learn and laugh all day long. Can you brave the soak zone? Check out what happened to us! I thought the word ‘soak’ was more of a gentle warning that we may get wet. After the first dolphin swam by and said hello, I understood firsthand that soak means exactly that. There was no gentle splashing. We were fully wet in a matter of seconds and completely loved it. My mother-in-law on the other hand was thankful SeaWorld has full body dryers. And I should probably give her a call to see if she has forgiven me yet. My father-in-law too maybe… although by the expression on his face in the background of this picture he may have enjoyed the experience. Maybe not? I always thought SeaWorld was mostly a world famous gigantic aquarium for large sea mammals. I expected to see whales and dolphins, seals and walruses. And I expected to learn all about ocean life for these amazing creatures. SeaWorld, however, completely blew me away! It is so much more than an aquarium. SeaWorld is a place for your entire family to explore, learn, scream and laugh all day long. There are several different touch tanks where you can feel anemones, sharks, cleaner fish, and even rays. With plenty of staff to answer questions, you can’t help but learn as you touch these beautiful creatures. You will laugh, you will learn, and you will love each unique show at SeaWorld. On a hot San Diego day sit in the soak zone and you will definitely cool down! Or just go for the awesome memory and sit there anyway regardless of the temperature. You’ll never forget it. I promise. The shows really highlight the incredible abilities of the animals and you will certainly gain an appreciation of them. My kids truly fell in love with roller coasters at SeaWorld. They screamed on the ride “Manta” and felt the adrenaline rush on “Journey to Atlantis”. And even rode to the top of a lookout tower to watch the stunning sunset display. What better way to see sharks than to travel underwater and watch them swim all around? This was a truly amazing experience! Personally I thought I would be scared, but instead, I stood in wonder watching their graceful movement above me. Instead of just walking through some random doors into the North Pole area… SeaWorld takes it to a whole new level with an interactive plane ride immersing you right into a real live North Pole expedition. These extra special touches is what makes SeaWorld… well… SeaWorld! 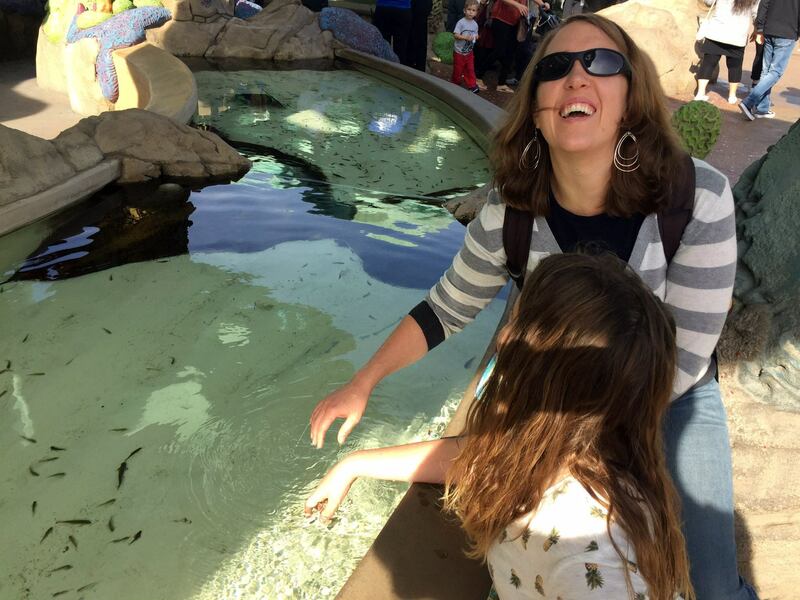 Best Time To Visit SeaWorld – We visited during early December and the park was basically 20% full. After Disneyland a few days earlier it was nice to not stand in one line all day long. Don’t believe me? Check out the picture – we went around three times on the “Journey To Atlantas” roller coaster without leaving our seats because there was no one else in line. Dry Out! Bring money for the full body dryer during colder days. I thought it was a bit pricey until I learned the dryers hold several people at a time. My in-laws were very grateful for the hot air in mid-December. Arrive Early – to the shows to ensure you get the seat you want, especially during peak tourist season. As you now know, we wanted to sit in the soak zone. If that’s not your thing, make sure you get the spot you want by getting there in time to scope it out. Plan Your Day Around The Show Times – You won’t want to miss seeing the professionally trained dolphins and seals, so make sure you’re not sitting in a line for a ride or eating lunch and miss out! Take Your Time With Each Touch Tank – Since it’s not every day you can experience being so close to these marine animals, you’ll want to savour the moments. 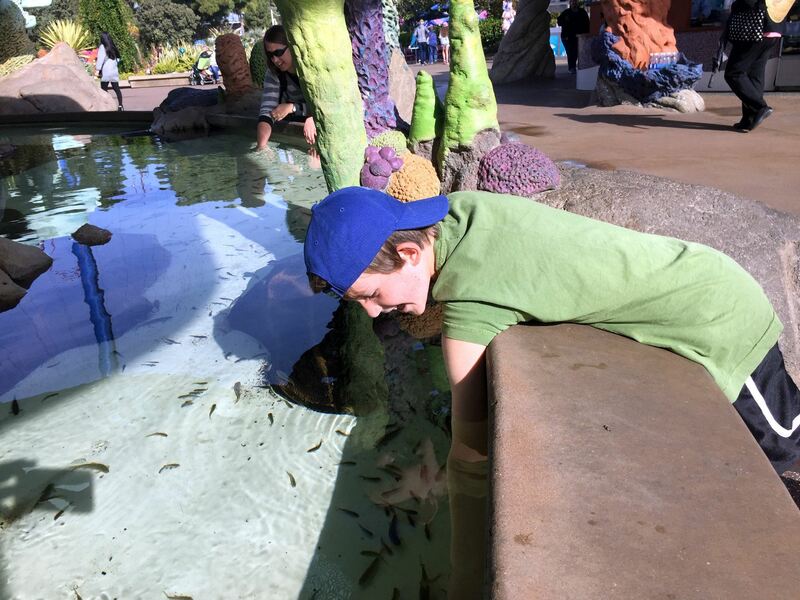 My kids still talk about their time at SeaWorld and when I asked them recently to share a favourite memory they each talked about the touch tanks. Something they had never experience before and certainly won’t soon forget. 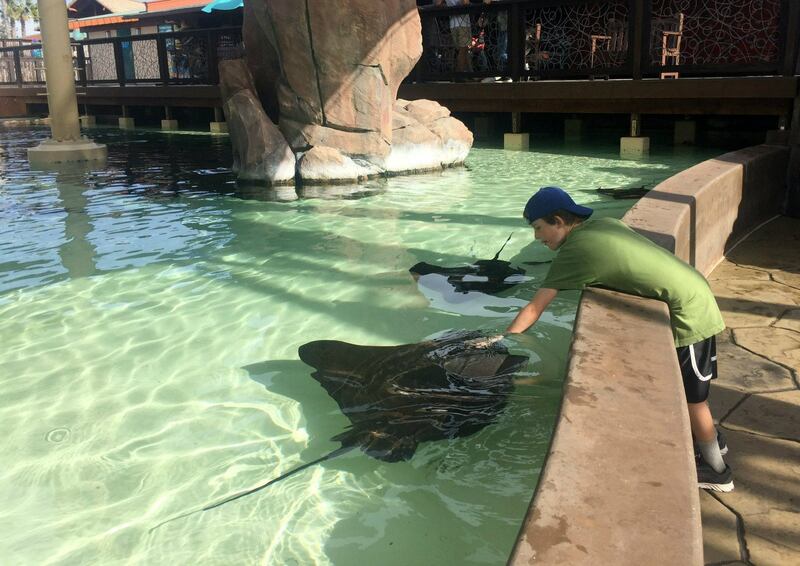 SeaWorld provides a setting where learning is fun and lifetime memories are made. Checkout all that SeaWorld San Diego has to offer and see what the latest discounts and special offers are. Previous postPride & Prejudice Comes To The Chemainus Theatre Next postBizarre Dream Or Just Our First Night In Cuba? You Decide.